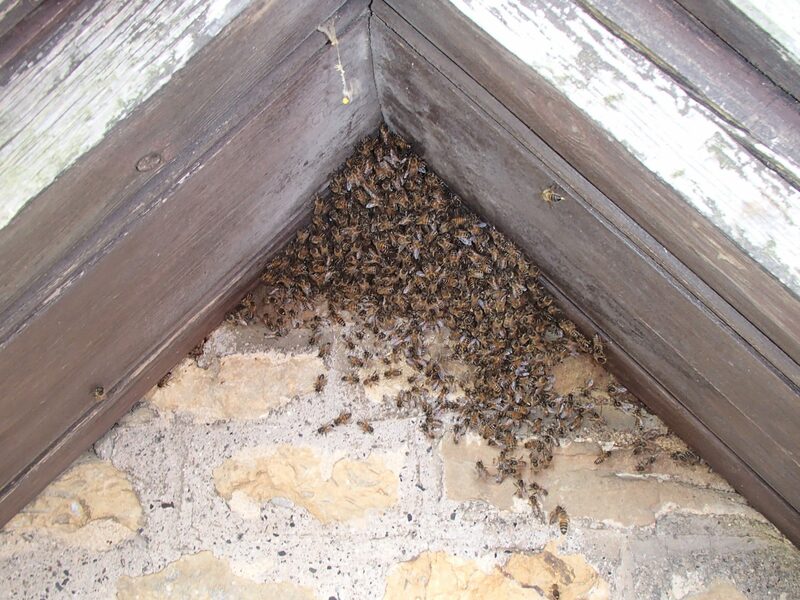 Here we carried out a ‘honey bee nest removal from roof’ of a converted barn near Bruton in Somerset. 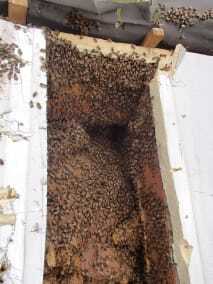 These honey bees had been in the roof for 3 years or more. 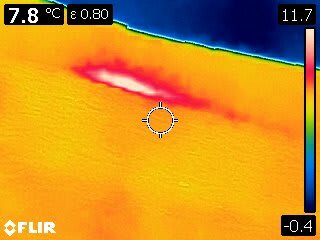 This was one for the books, we learnt a lot on this job including the limitations of one of our favourite tools our thermal imaging camera. 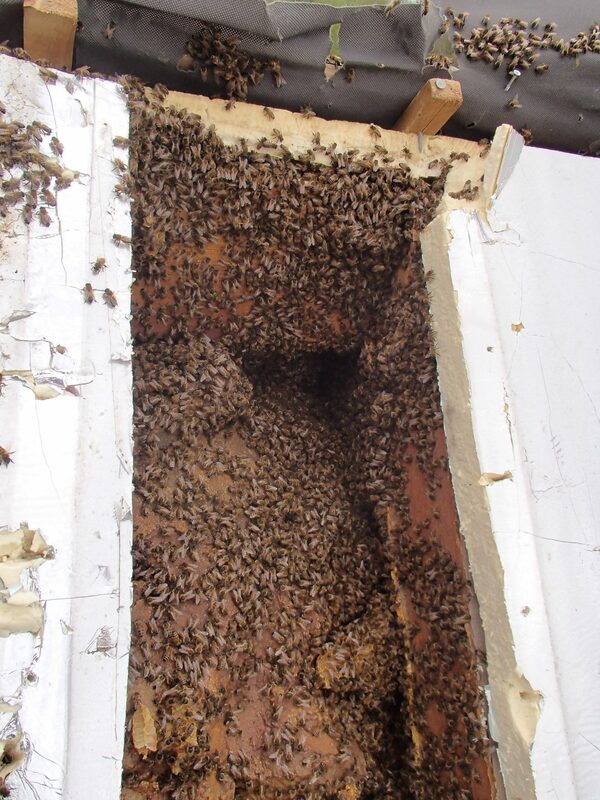 We first saw this property in March, and even at that time there was a lot of honey bee activity but the thermal imaging camera was not showing up much of a nesting area. We looked from inside the roof space and from the outside but could only pick up a small thermal area around the roof apex where the honey bees were entering the roof and this thermal imaging was not correlating with the level of activity we were seeing. 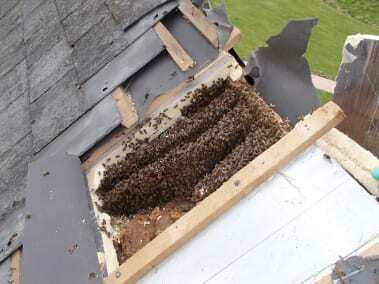 We also understood from the home owners that the honey bee colony had been in the roof for 3 years or more, so we were expecting a reasonably sized ‘honey bee nest removal from roof’. 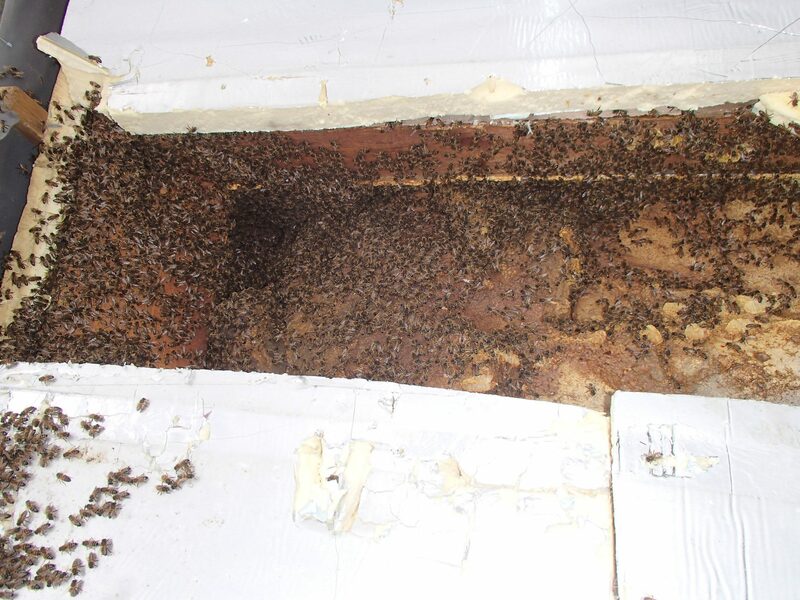 We found out why we couldn’t pick up the nesting area once we started on this job. 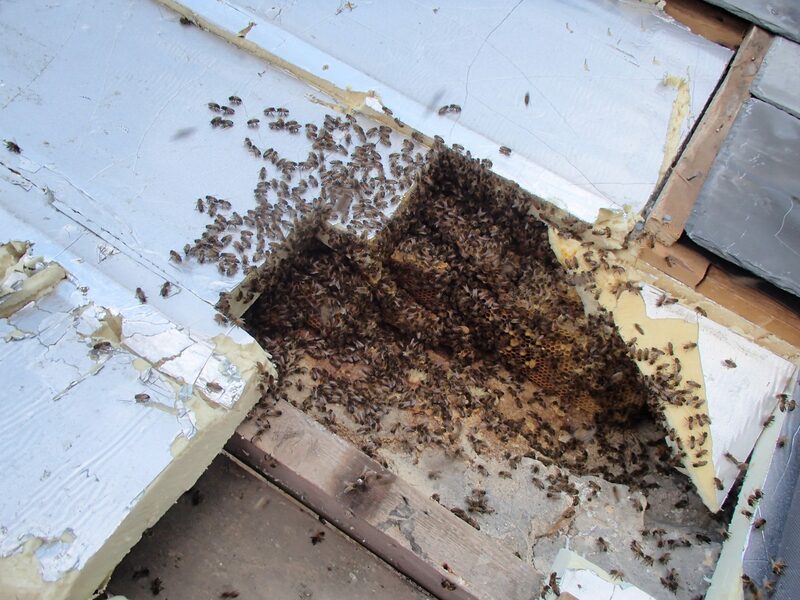 Initially we pulled back the soffit boards but there was clearly nothing going on. Next step we started removing tiles on the right side of the roof (being right handed it was easier to work on) and it was a steep roof. 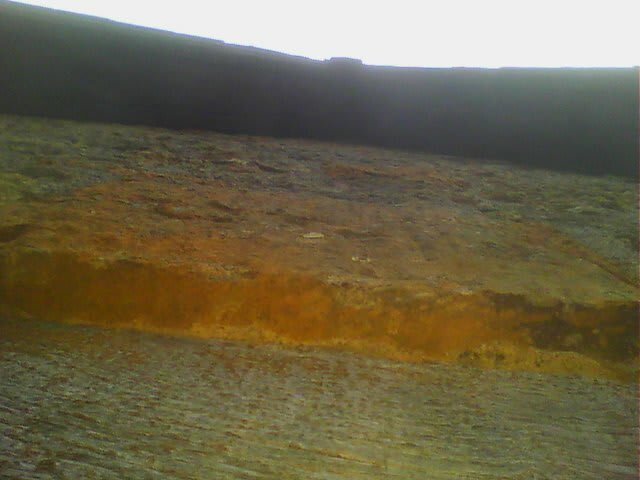 Still we were not seeing much. Then we cut an access into the thermal insulation, not really expecting to see much we found them, they were between the insulation and a recess in the very wide old stone wall. 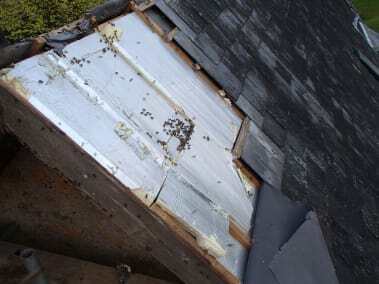 Initially it looked as if the two sides of the roof were separated with a dividing beam but no such luck on this job. 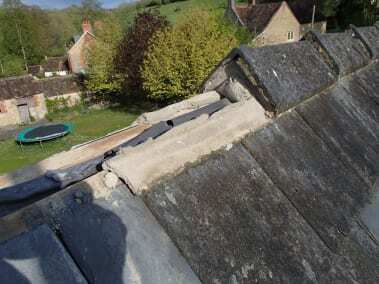 We were soon having to remove more slates to access the other side of the roof, to find the comb running further down the roof (south facing). 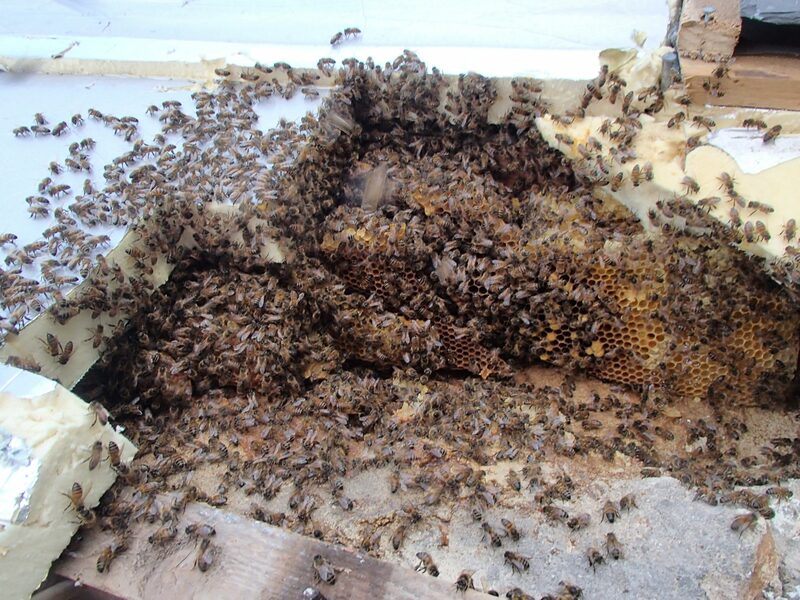 Once this was removed we were left with comb running under two beams and then dropping down the the wall in a gap between the wall and plaster, this was new build comb and being used for storage of honey. 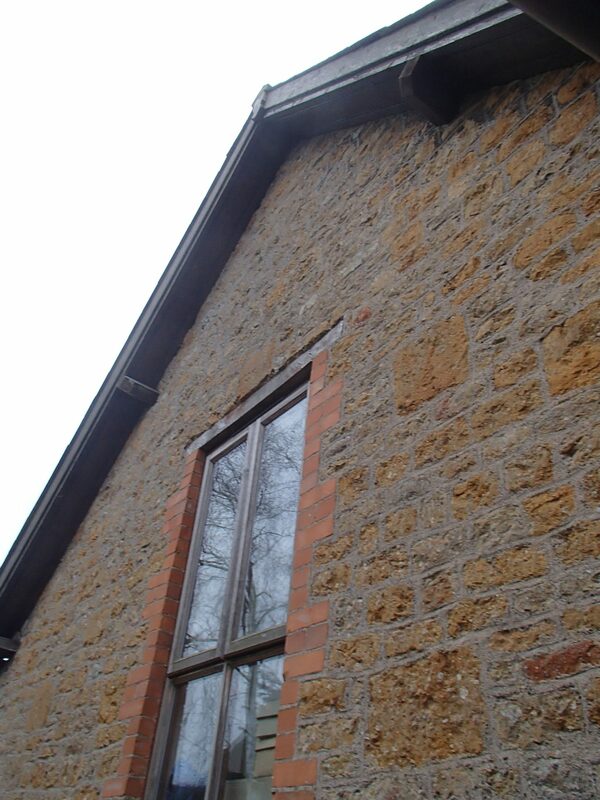 This was a long drawn out job mostly because of the difficulty in removing the slate tiles that had been nailed on with overly hard copper nails, and because the roof was so steep and inaccessible because of the thickness of the walls of the property. 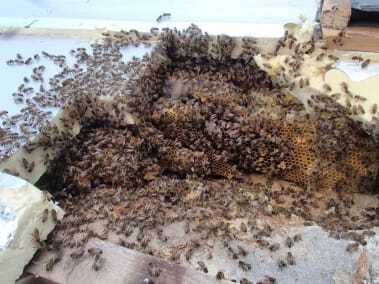 But all the comb, honey stores and bees were removed successfully. Total weight removed was about 85Kg, most of which was not capped comb, but we were able to leave behind several kilos of honey for the homeowners to enjoy. We were able to add some brood and most importantly eggs with young workers to the vacuum box while we were working, which made the transfer of the bees to the apiary even less stressful, as our new system design allows for the bees to combine with the brood while travelling. 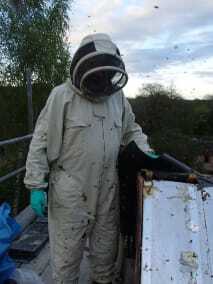 If you are wondering who the brave looking chap in the white suit is, its Tony from Camelot Pest Control who we were working with. 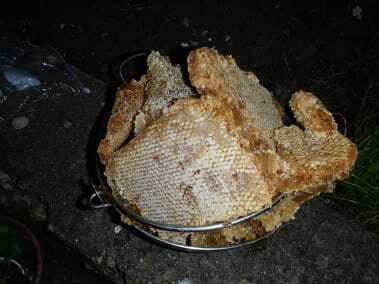 The honey bees just loved him but I never got the time to take a shot to prove it. 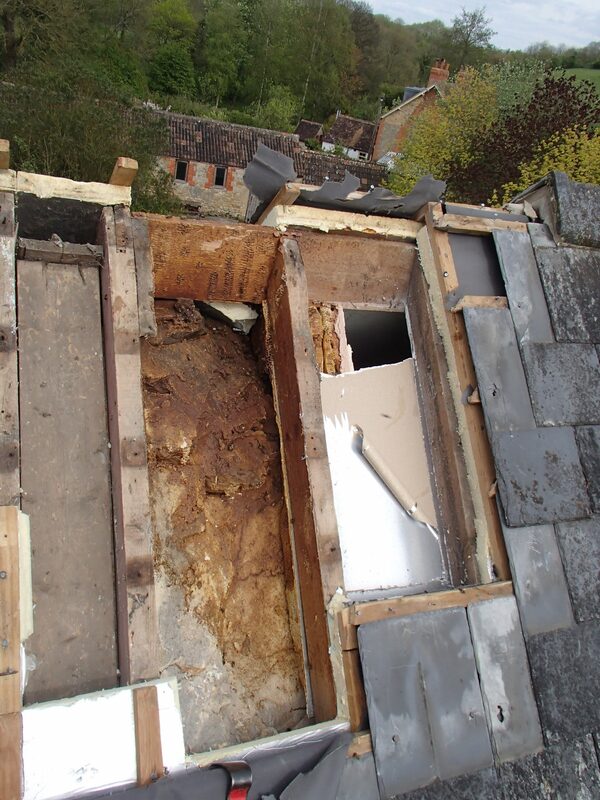 hopefully Tony has some additional images that we can post later. So if any one else needs a ‘honey bee nest removal from roof’ near Bruton, Somerset get in touch with either Tony from Camelot or ourselves. 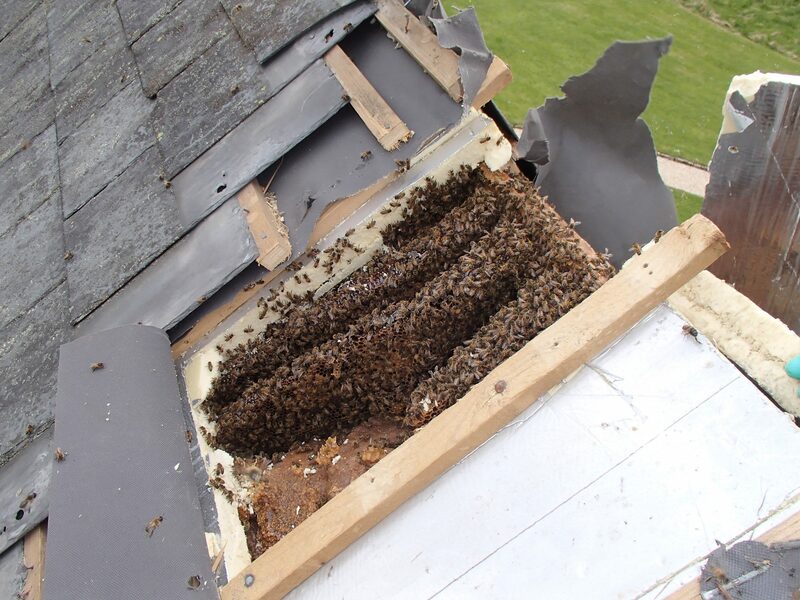 We not only carry out ‘honey bee nest removal from roof’ near Bruton, Somerset, we also remove honey bee nests from chimneys, walls and other places that bees are not meant to be. For further information on bee removal and relocation please use the contact form in the side bar or call 02922 401649 to speak to someone who knows all about it. 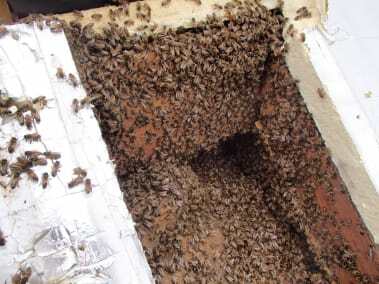 If you are looking for further information on bee removal and relocation from chimneys you may want to look at our page Honey bees in chimney, or if you have bees in a wall our page Honey bees in wall maybe of use, For additional exampleson removals of honey bees from other more unusual places check thru our blog page Honey bee removal experts.